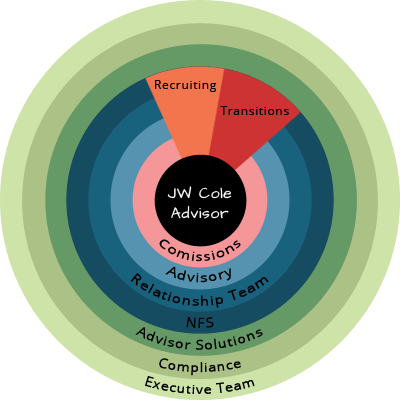 JW Cole’s existence is solely dependent on its partner Advisors. When they succeed, we succeed. JW Cole has developed a regional Relationship Management Team structure which allows us to better understand our Advisors’ businesses and their needs by serving as a single point of contact for their offices. Our Relationship Management Teams strengthen the personalized, friendly, and accountable service everyone knows and appreciates about JW Cole. This team covers all relationships within their respective region and we operate these teams out of the Tampa and Carlsbad locations. The primary responsibilities of the Relationship Manager are to understand and know an Advisor’s staff and business model, provide review and approval of an Advisor’s business transactions as required by FINRA, help an Advisor resolve escalated issues, act as liaison between the Advisor and the Home Office, and recognize opportunities to implement best practices within an Advisor’s day to day business. The primary responsibilities of the Sales Support Specialist are to work with Advisors and their Assistants and provide education on paperwork completion, answer general questions, and also identify best practice opportunities. At JW Cole, we understand that you are not only an Advisor, but a business owner as well. 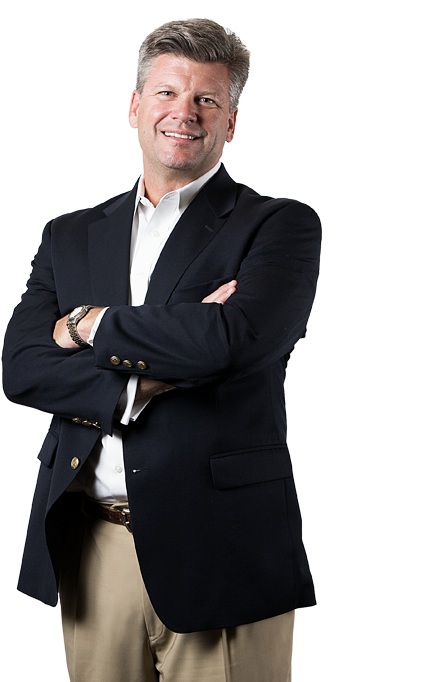 Advisor Solutions focuses on helping our Advisors be great business owners. Technology has become one of the biggest differentiators for Advisors in the financial services industry. Having a well thought-out technology plan can create a more efficient office, and a cutting edge client experience. We believe the word Independent revolves around “choice”. As independent thinkers and advocates for your clients, it is imperative that you have the platform necessary to solve their needs. While compliance is an enormous part of a Broker/Dealer's responsibility, we do not believe it needs to be conducted in a manner that puts Advisors on the defensive. Our Compliance program is designed to provide you with the tools and best practice ideas needed to help you protect your biggest asset, your business. We seek input from Advisors when the industry faces a rule change in an effort to implement the change in an Advisor & client friendly way. We give detailed reasons about new company-wide procedual changes and we have open discussions with Advisors in an effort to treat each Advisor with the respect they have earned as our partner. We have implemented a relationship-based compliance oversight, allowing Advisors to have personal relationships with the individuals tasked to help them remain compliant. Compliance at JW Cole is not the 'business prevention department' like other firms. We do not make the mistake of managing compliance to the level of the lowest Advisor. We believe that this is a rarity in the Broker/Dealer community and stand proud by the fact that what is usually a negative in our industry, is yet another strength of JW Cole. You are a valuable partner of JW Cole, and we take the steps to help you make compliance part of your success. JWCollege™ is a collaborative training session among Advisors, Assistants, and Home Office employees. It is a hands-on program focusing on education and best practices on topics ranging from opening a brokerage account, to sharing client events ideas, to preparing for a Compliance branch audit. JWCollege™ gives Assistants the knowledge and confidence they need to help their Advisors take their businesses to the next level. JW Cole Financial is very proud of what we have developed in JWCollege™. This program provides Advisors and Assistants 24-7 access to crucial coaching, education and best practices. A unique aspect of the program is the collaboration between the JW Cole home office and the industry’s most respected and highly sought after products and vendors. The JWCollege™ program has organized information from our industry thought leaders in a way that is easy for our partnering Advisors and Assistants to access and use.